Serpentine Pavilion 2016 (photo above) which is extremely cool. For first time this year there are the four summer houses elsewhere in the park which were smaller but also interesting. I’ll probably do separate posts about these when I get time. Shakespeare in 10 Acts at the British Library pretty good but not as good as British Museums exhibition a couple of years ago. Punk exhibition was crowded so I didn’t really go round it properly. States of Mind: Tracing the Edges of Consciousness at the Wellcome Trust interesting and not too big. Mona Hatoum at Tate Modern who I’d seen some stuff by at Liverpool Biennial a few years ago worth a look. Not everything to my taste but some really good pieces including her giant neon globe, a room with shadows cast by cages, a machine that makes patterns / destroys patterns in sand and an array of straight pieces of barbed wire that really messes with the brain’s sense of perspective. Georgia O’keeffe – the new blockbuster exhibition at Tate Modern with inevitable waiting to get in. Lovely modern paintings of flowers, early 20th century New York, landscapes, lakes and other scenes. Not so bothered about her animal skull pictures (one very macho bloke had gone just to see those and loudly telling woman with him who liked the flowers that they were all a bit too sexually provocative for him). Anne Teresa De Keersmaeker Work/ Travail/ Arbeid at Tate Modern – couldn’t really get close due to crowds to see if modern dance as art is actually of interest to me. Bhupen Khakhar You Can’t Please All at Tate Modern- his painting style really wasn’t my taste. Good job macho man didn’t come to see this as I suspect some of the more adult pictures would have really not been his thing. Conceptual Art In Britain 1964–1979 at Tate Britain which I think I’ve a better idea about and there were some intriguing pieces. Painting with Light Art and Photography from the Pre-Raphaelites to the Modern Age at Tate Britain which again was good but not outstanding. Basically pulling together stuff about early photography and some art. Not as outstanding as either Silver and Salt or the Pre-Raphaelites exhibition from a few years ago. 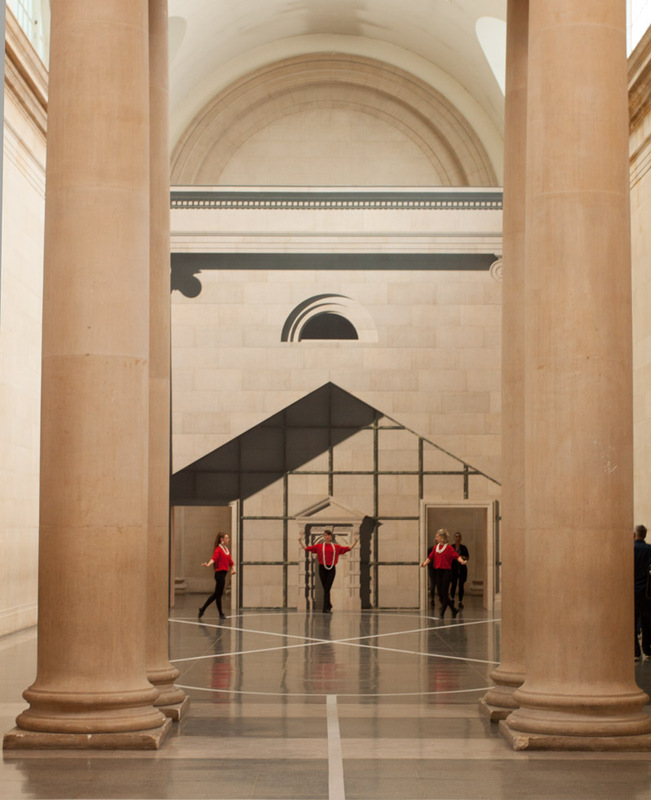 Pablo Bronstein: Historical Dances in an Antique Setting (The Tate Britain Commission 2016) in the heart of the Tate Britain gallery. The second dance pieces I’ve come across in two days and I think I probably need someone to explain it to me. Sunken cities: Egypt’s Lost Worlds at the British Museum features lots of cool stuff for the entry price. I didn’t really feel the two lost cities were done justice and under water archaeology was relegate to cool slow-motion pictures of diver fishing stuff up to eerie music. Far too much explaining Egyptian rituals around their gods. But as I said on the plus side lots of cool Egyptian stuff fished up by divers. Light, time, legacy: Francis Towne’s watercolours of Rome at the British Museum – now this is what I like. Discovering an artist I’d never heard of whose watercolours are beautiful. He wasn’t in the in crowd (too provincial and professional for London) when he painted them the pictures are still as originally mounted (with simple modern framing around that). Would sit well with Turner’s watercolours. Krishna in the garden of Assam: the cultural context of an Indian textile at the British Museum – for a piece of cloth thought to be from 1600 it’s in pretty good nick. Sicily: Culture and Conquest at the British Museum – I almost skipped this after Sunken Cities. Glad I didn’t since it may have been shorter but it really did a proper job of explaining how the Greeks, Romans, Arabs and Normans shaped the island. The artefacts supported the story rather than becoming the exhibitions focus. The items were clearly placed in the context of the geography and culture of the island and the wider European setting. Britain from the Air at the Royal Geographical Society for Britain from the Air – which has now closed in London – lots of really nice aerial shots of Britain (you guessed it) from the air. Displayed in their gardens as really big prints. Engineering the World: Ove Arup and the Philosophy of Total Design at the V&A – Exhibition as both engineering and installation since it’s a temporary steel structure inserted in to a gallery. Heavy focus on a few famous projects including Sydney Opera House and Centre Pompidou. Also really interesting room for simulating acoustical environments. Curtain Up: Celebrating 40 Years of Theatre in London and New York at the V&A is an exhibition that isn’t afraid to razzle dazzle its audience. It cleverly leads into the V&A’s permanent theatre exhibition that I’d not been round before as well. Undressed: A Brief History of Underwear at the V&A – a display of 300 years of (mostly women’s) undergarments.